The gable is the triangular portion of a wall between the edges of a dual-pitched roof. Whether your home is modern, traditional, updated or antique, the pitched-roof style accommodates a variety of home types and has for hundreds of years. Some are simple and unadorned; others flaunt decorative elements like gingerbread and Victorian-inspired trim. There are front-gables, side-gables, and cross-gables, which means the gables are on both the front and side. If you’re hoping to up your sense of modern style, take a peek at a few homes with gables clad in HardiePanel® vertical siding—a simple accent that can boost your home’s curb appeal. 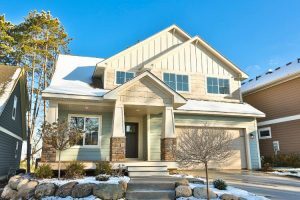 This suburban home stands out with HardiePanel vertical siding and HardieTrim® batten boards in its gables. The home feels taller due to the elongating vertical siding choice, and pairs well with the Artisan® lap siding. 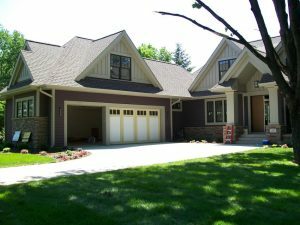 This gabled Minnesota dwelling is clad in HardiePlank® lap siding with HardiePanel vertical siding and HardieTrim batten boards in Chestnut Brown. Only three main gables are clad in vertical siding, which adds a balanced look to the façade of the home. The HardieTrim boards in Arctic White make the brown and gold siding hues pop. HardiePlank lap siding in cornflower blue clads this beautiful, craftsman-style home, and HardiePanel vertical siding grabs focus in the front gable. 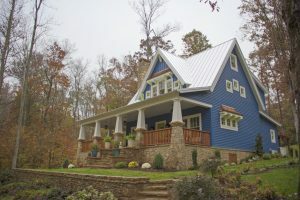 The side gables, clad in lap siding, seem to let the front of the home serve as a true focal point. The collection of windows under the gable’s vertical siding adds a layer of interest. 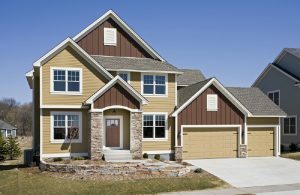 This neutral gem is clad in HardiePlank lap siding with HardiePanel vertical siding in creamy Sail Cloth in the gables. 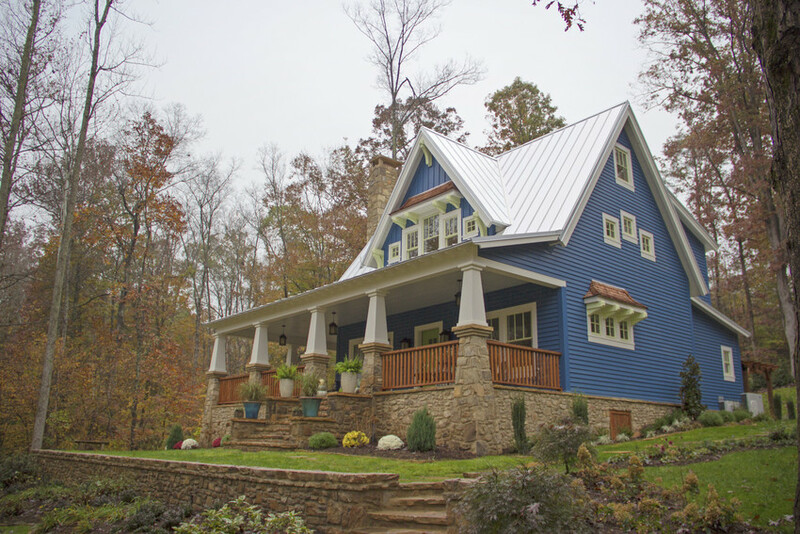 The vertical siding elongates and adds a central focus that draws your eye to the front door, the entryway to this cute Arts and Crafts style abode.